British Tars, 1740-1790: A Sailor's Life for Me - This Weekend! 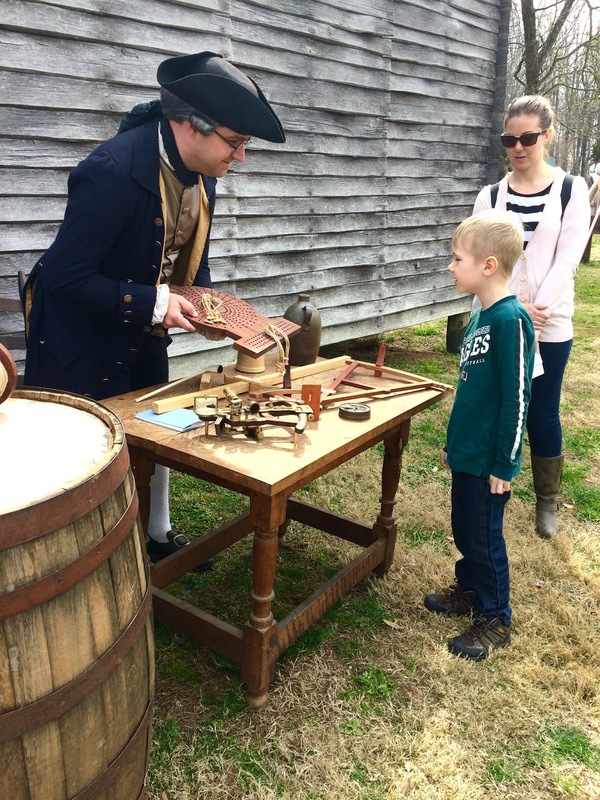 Join me this weekend, along with dozens of other interpreters, to explore maritime history. The Zwaanendael Museum in Lewes, Delaware is hosting a unique event in which costumed volunteer demonstrate centuries of oceanic culture: A Sailor's Life for Me. Volunteers will be on hand in the dress of sailors and marines throughout the eighteenth, nineteenth, and twentieth centuries. Whether it was the British Royal Navy in the Sudan, US Marines fighting Japan in the Pacific, or Napoleonic era tallship sailors, you'll find something to interest you. I will turn out with a friend or two to demonstrate the history of latitudinal navigation through the invention of the sextant, and the practice of dead reckoning. Stop on by and say hello! Who made the quadrant and sextant pictured on the table? Thank you sir! I will definitely check out that navigation group. I am always looking to learn more period maritime skills.